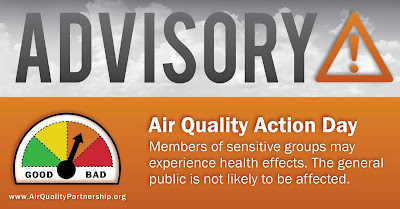 On February 4, the Department of Environmental Protection and its regional air quality partnerships have forecast a Code Orange Air Quality Action Day for fine particulate matter (PM 2.5) on Monday, February 4, 2019 for the following counties: Allegheny, Butler, Westmoreland, Armstrong, Fayette, Beaver, Washington, Northampton, Lehigh, Berks, Cumberland, Dauphin, York, Lebanon, Lancaster, Philadelphia, Bucks, Delaware, Montgomery, and Chester. Fine particulate levels rose faster than expected over the past weekend due to much warmer air coming in aloft and at the surface along with much lighter surface winds. 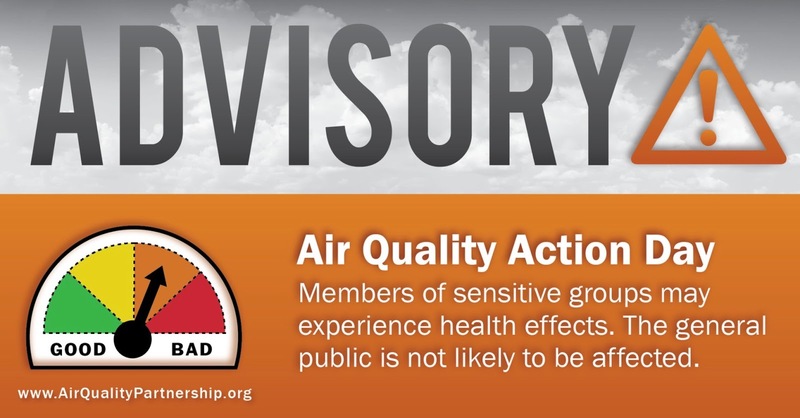 A strong inversion, when colder air is trapped below a warm air mass, with near calm winds and increased weekday emissions Monday will bring air quality for PM2.5 into the Code Orange range. This pattern will hold until Tuesday, February 5, 2019, when a cold front is expected to pass through. The front will pass the western part of the state tomorrow morning, then through eastern areas early tomorrow afternoon. The increasing mixing resulting from the frontal passage will bring air quality down to the moderate range on average during the day Tuesday. -- Combining errands to reduce trips. These forecasts are provided in conjunction with DEP’s regional air quality partnerships. Visit DEP’s Air Quality Partnerships webpage for more information on air quality across Pennsylvania.